One time I suggested a friend of mine to take a flightseeing Victoria tour ... This is a time and money saving formula. He was on a business trip to Victoria. His wife, daughter also accompanied him. 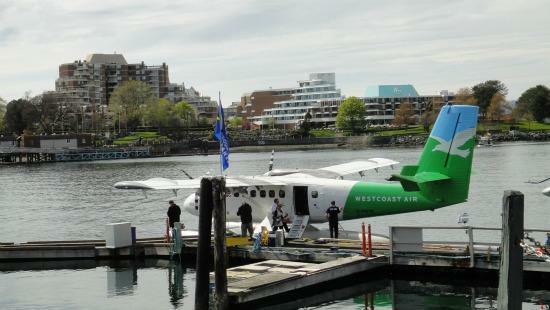 They listened to " Exiting Victoria scenic Seaplane Adventures " from friends and wanting to take a tour from downtown. I showed them that they can easily add this tour into the itinerary to get in and get out of Victoria. They took a Seaplane from Vancouver downtown to Victoria downtown to get in and get out of here. They saw a quick way to downtown Victoria and enjoyed 2 scenic flight tours. Afterwards, they thanked me for this time and money saving idea. Visitor or a business person who thinks what is the quickest, convenient transportation option to downtown Victoria, my advise is Seaplane or Helijet- helicopters. 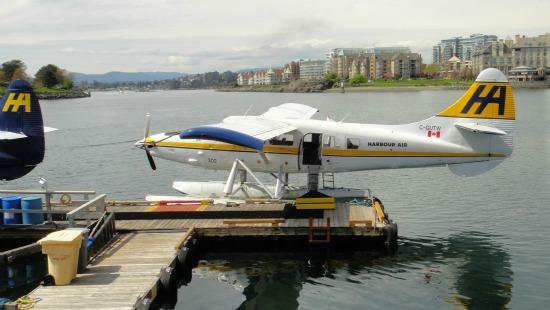 Harbour Air Seaplanes offer regular schedule flights from Vancouver downtown to Victoria downtown. You can arrange a Charter a flight with Patbay air for a competitive price too. 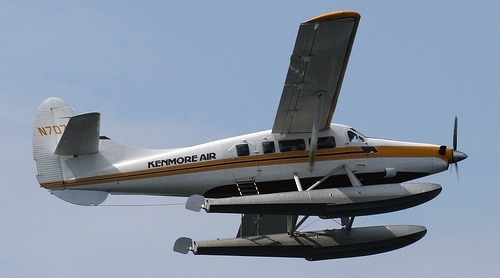 From Seattle it is Kenmore Air that brings you directly to downtown Victoria. They have regular flights. 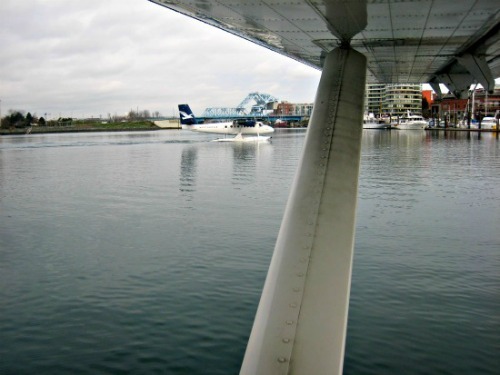 Flying in a seaplane you see the beauty of Victoria – Canada's Garden City from high up in the sky. It's not the typical view you get from a jet window. These low flying air crafts offer a unique view of the islands, Ocean wildlife - pods of whales, sea lions and seals resting on offshore rocks . If you were to arrange a scenic tour from Victoria there are several options and competitors to choose from. Scenic tours are departing Victoria's Inner Harbor as well as Pat Bay Seaplane Base adjacent to Victoria International Airport - YYJ. A scenic air tour over Victoria is a very popular tourist attraction all year round. With eye catching views of the Olympic Mountains, the Strait of the Juan de Fuca and the City of Victoria BC. There are private charters which you can customize your trip to fit anywhere along British Columbia’s scenic coastlines. Charter tours are popular for business trips, personal getaways for two or large group departures. Enjoy unparalleled views of mountains above the coastline. Landing and take-off feel like a you are into a water ride with a spray of water. A nice feast for your eyes and a memorable flightseeing Victoria tour. No … words to explain … This is how I felt about my float plane trip. 1) Hayak Air operates Victoria downtown float plane terminal and Marine Adventure Centre and tours are available directly from them. Some of these seaplanes are operated by Harbour air. 2) Patbay Air offers a variety of unique tours and an option of creating a custom tours just for you. 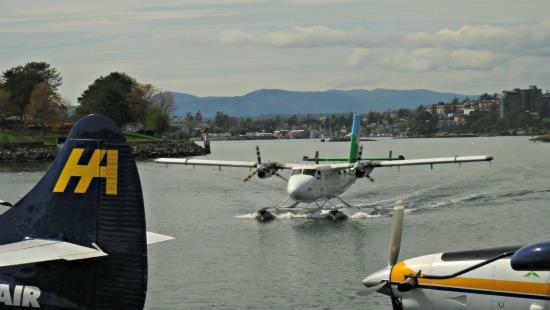 Their main base is Pat Bay Seaplane Base. Its on the Saanich Peninsula, adjacent to Victoria International Airport. They operate charter flights from inner harbor downtown too. Forty Minute City of Victoria and Saanich Peninsula Tour, including an aerial view of The Butchart Gardens. Forty Minute Gulf Islands Explorer Tour, around Salt Spring Island, past Galiano Island, Active Pass and Sidney Island. A day trip to Victoria is doable and easy. 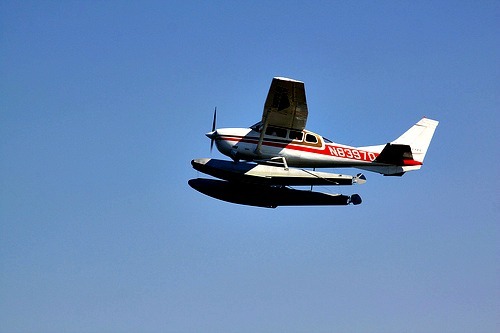 Fly Seaplane from Lake Union in Seattle or Vancouver harbor to Victoria Downtown. Spend a relaxing day exploring Victoria and returning back the same day to Vancouver or Seattle. Seattle Seaplane service is a great way to arrange a scenic Charter flight to Victoria. You can arrange Seattle-Victoria charters with Kenmore Air too. Harbor air (West Coast Air) offers several tour packages from Vancouver as well as Victoria that includes Whale watching, Butchart Garden tour, Victoria Royal BC Museum, Shopping etc.